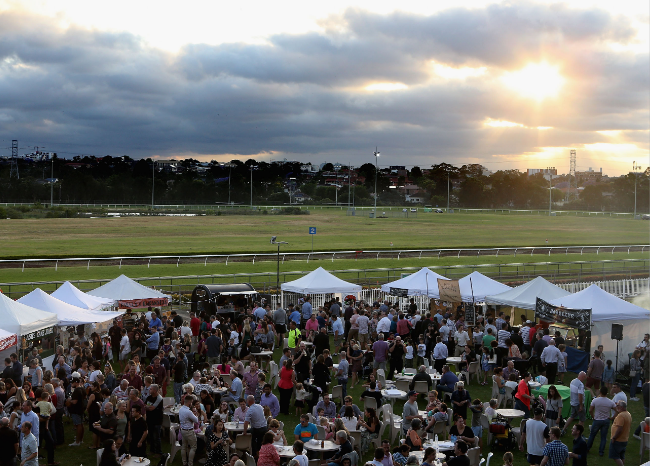 Sydney’s racecourses are continuing to cope and race exceptionally well despite record rainfall across the city, as Rosehill Gardens and Canterbury Park prepare for another double-header of racing this Friday and Saturday. The Group 3 $160,000 Festival Stakes, Listed $140,000 Starlight Stakes and Listed $140,000 ATC Cup are three features at Rosehill Gardens this Saturday, for a meeting which has attracted 113 entries. Despite almost 60mm of rain in recent days, the Rosehill Gardens course proper was just into the Heavy 8 range on Thursday morning, with at least one upgrade expected ahead of Saturday. The third KIA Friday Night Racing meeting of the season at Canterbury Park has capacity fields in six of the eight races, and a total of 112 acceptances. Canterbury Park received 77mm of rain in 48 hours over Wednesday and Thursday but is also just into the Heavy 8 range. “The track has drained very well and with some sunshine through Thursday and Friday we would expect good improvement and an upgrade,” Canterbury Park Racecourse Manager, Greg Carmody, said. The Group 3 $160,000 Festival Stakes is a key lead-up to another summer feature, the Group 2 $250,000 Villiers at Royal Randwick on Saturday 15 December. The Festival Stakes is a ballot-exempt race for the Villiers and regularly features a number of runners taking this pathway, many with the purpose of targeting the ballot exemption for the $3 million The Star Doncaster Handicap in April. The Joe Pride-trained mare Pecans is the early $3.80 TAB Fixed Odds favourite after winning five of her past eight starts. My Nordic Hero, for reigning premiership duo trainer Chris Waller and jockey Hugh Bowman, is at $5. The in-form Godolphin stable, led by trainer James Cummings, has the $2.90 favourite Marsupial in the Listed $140,000 Starlight Stakes. It heads the market from the Gai Waterhouse and Adrian Bott-trained mare Invincible Star ($4.20), which is coming off two Group 1 runs, and a Rosehill Gardens track record holder in Deploy ($5), for trainer Gerald Ryan. The ATC’s free punters tipping competition on the ATC Wagering Information App continues this Saturday for the Rosehill Gardens meeting. New entrants can simply text the letters ATC to 0400 813 813 and follow the instructions to download the app. Entrants pick one selection in each of four races on the day (races 5-8), with a 'virtual' $10 put on win and place through NSW TAB Tote. The entrant with the highest virtual total dividends from their selections will be contacted on the day and win $500 prizemoney.